We all know the key to social media is consistency. Ideally, you want to be posting at least 4-7 times per week. The only problem? Coming up with fresh, new content ideas for things to share! It’s easy to get stuck in a rut when it comes to your Instagram Feed, and you can end up sharing content that either misses the mark with your audience or has been done a thousand times before. So what do you do when you go to post and have a complete mind blank? Instead of panicking and posting something mediocre, have a look at the list of 8 content ideas we’ve put together that will help you revive your Instagram feed. You’ll never have to panic post again! Just like Hey Tiger Co, add some fun to your product presentation. There’s nothing worse than scrolling through your Instagram Feed and being bombarded with posts that serve no other purpose than to try and sell something. Have some fun with it rather than just merely shouting “here’s my product”. When it comes to sharing about your products/services, it’s time to say goodbye to overly salesy captions and bland, boring ‘please buy from me’ style content. Remember, your followers want to see the VALUE you can provide! It’s not enough to just say ‘here’s my thing, it’s great, you should buy it’. Next time you go to share about your product/service, ask yourself… What value does it provide? How can it help my customers? What pain points does it solve? Why is it better than others out there on the market? What results can it help bring? Use these answers to give you content ideas, shape your captions and create a more in-depth, human-focused and compelling story about what you do. Your Instagram feed will love you for it. Don’t be afraid to share some key takeaways from your blog post in your Instagram Post. The magic happens when the caption gives context to the image. Give value like Peg Fitzpatrick does in this example, sharing just a few of her favourite blogs in the caption. Blogs are great, but sometimes, your followers just don’t have the time to click through and read a 500-1000 word post. Sure, they might save it for later, but when it comes down to it, life gets in the way and more often than not they will completely forget about it and never end up reading it. But why should that mean all your hard work goes to waste? 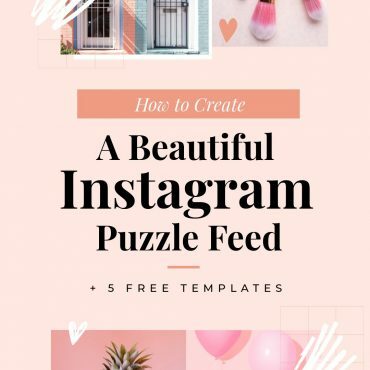 Because the nature of Instagram favours short, sharp and easy to digest content, the Instagram feed is the perfect place for you to break your blog posts down into smaller, bite sized pieces to share with your audience! If you want to get a bit fancy, you can even jump into Easil and use one of our handy templates to create a short series of posts that you can share as a carousel! 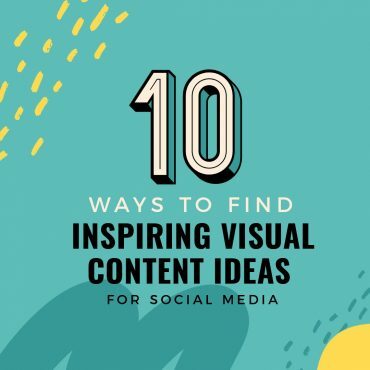 We’ve got you covered for making your content ideas visual! Service-based providers, … you’ll be able to relate, ha! ⠀⠀⠀⠀⠀⠀⠀⠀⠀ We spent little chunks of our days in our “beanbag of despair”, courtesy of just, … weirdness, or rudeness [from people on e-mails we’ve never met, but who expect us to fix all o’ their social media problems, and not pay for that], or ungrateful folk who’ve been overserviced, … but are still non-appreciative [and have subsequently forgotten their manners, i.e a simple “thank you” will get you so.much.more in life! ], and so this here little gold beanbag? … well, … she got a workout. ⠀⠀⠀⠀⠀⠀⠀⠀⠀ Cherie wanted to flop into it after dropping another 900 hours on a Telco who shall not be named for continuing to provide sh*t Internet, … and even worse customer service, ha! ⠀⠀⠀⠀⠀⠀⠀⠀⠀ But? Look at this scene. That’s our strategist, depair’ing, and our Studio Manager, lovebomb’ing, … and no matter who is in the beanbag of despair, there’s always a member of our team by their side, lurking + supporting. ⠀⠀⠀⠀⠀⠀⠀⠀⠀ I love this here little #teamTDP that we’re growing. Good eggs. Funny. Smart. Kind. Socially conscious. Political. Interesting. Great taste in music. The end. Don’t be afraid to show your couch moments, like the girls at The Digital Picnic have in this post. When it comes down to it, there’s nothing we love more than getting a glimpse into someone else’s life! For businesses, sharing behind the scenes content on your Instagram feed is a great way to get personal and form a stronger connection with your followers. Humans buy from humans, so the more of ‘you’ that you share, the more your followers will connect! There are countless content ideas that you can share, including a behind the scenes look at your office/workshop/desk area, a glimpse at what your daily routine looks like, sneak peeks into upcoming product releases/a project you’re working on for a client, or even introduce yourself and your staff members! What can you teach on a single image? A tip, how-to image or a checklist like this one from Digital Decluttered starts the teaching…and you can finish in you caption or send us for a further deep-dive via a link in your profile. 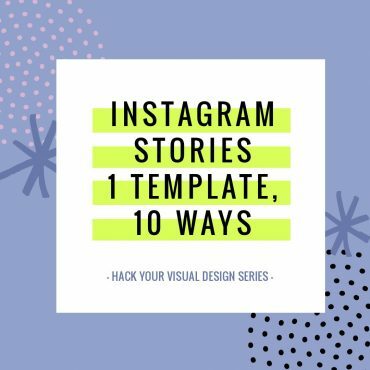 While Instagram is very much a visual platform, there’s more to it than simply sharing a few pretty pictures on your Instagram feed. With hundreds of thousands of posts shared each and every day, you have to make sure yours stand out above the rest if you want your audience to stop scrolling long enough to engage with you. The easiest way to do this? Add value through your posts! Why not share a quick tip or trick that relates to your business that your followers can then implement into their lives? Think about who your audience is and what their lives look like. What pain points do they have? Try and target your content ideas toward these, to ensure your audience will benefit the most from your educational posts. Outta the mouths (“Instagram messages”) of glowy-faced legends (“Go-To customers”). Just like Go To Skin Care – could you be sharing testimonials that you haven’t shared before? Testimonials are full of content ideas for your Instagram feed! Social proof is SO important when it comes to building trust with your followers. People want to buy from brands they know they can rely on to produce good results/quality products. The next time someone leaves you a review on Facebook, Google, your website or even if they email feedback to you, why not take that and use it to create a post on Instagram? Try and get a bit creative with it too! Jump into Easil and use one of our templates to create a fun, branded graphic to share! In your caption, don’t forget to share a little bit about the story behind the review. What product/service did you provide this client with? Why did they come to you and what results did you help them achieve? Remember… the beauty is in the images, the story continues in the captions! SPOTTED! ⠀⠀⠀⠀⠀⠀⠀⠀⠀ @what_brooke_wore in our 'Sarah Dress'! ⠀⠀⠀⠀⠀⠀⠀⠀⠀ Features include cuffed sleeve ends, side pockets and pleat detailing at the waistline. ⠀⠀⠀⠀⠀⠀⠀⠀⠀ Shop this styles in our '40 styles for $40 each' online now. Feather and Noise know what’s what… they know that a customer posting about wearing their dress is 10x more powerful than a post from their own account about the same dress. Whenever a customer or client sends you a photo, or tags you in a post, or writes about you on their story, be sure to save it so you can repost to your page later! User generated content is a fantastic way to diversify your page – and it’s free!. You don’t have to worry about spending time creating it, and because it comes direct from your customers/clients, it also shows social proof! Important: Don’t forget to double check with the original poster before sharing on your own page – just to make sure they are happy for you to do so. We recommend that you gain this permission in such a way that you can keep a record of it, in case images or comments are later deleted. Use DMs or caption requests and screen capture any approval to repost. Or even better (and the best way to protect yourself legally), is to use a Rights Management system like Tack. This allows you to manage and track your media, requests and approvals. Involve your community in your community involvement, like Monroe’s Burgers do in this image. For those of you who are local based businesses, it’s a good idea to show your community spirit! Try to pepper in a few posts that relate directly to the local area/s that you service. This can include posts such as regrams from people who have snapped photos in the areas, supporting other local businesses with shout-outs, showing what you get up to when you’re out and about, or even sharing about upcoming events in the area! Hot Tip: Remember that location is very powerful on Instagram. Be sure to tag locations in your posts but especially in your Instagram Stories which will help get more eyeballs on your content. Even business coaches need 'somebody'. . We've recently been working with quite a few people who have experience (and a business) in a 'coaching' or management capacity. The fantastic thing is, that they all recognised they needed some support, someone to chat with and on more than one occasion, someone to keep them accountable. . We all do. In fact, the best of the best, and all of those incredible powerhouse women that we aspire to be just like, will ALWAYS say that your best work comes from collaborating and working with others. . It's a no brainer, particularly if you're working solo – sometimes, you want to touch base with someone other than your better half/dog/cat that you randomly bounce ideas to whilst tapping away at your keyboard. . I know, my partner has no patience when it comes to deciding the right colour palette for my next Instagram story (I know, why it?). . We are working with others on our business too, because you see, ‘we're in it’ – and sometimes we need another person ‘who's out of it’. . The beautiful thing about this community of like minded women we are in, is that there are so many wonderful individuals who are willing to share their time, insights and experience, and it genuinely does feel like some days when you really need a warm hug, you can get it from the community that we're all part of. . Who do you seek the support of for your small biz? By sharing their story and what makes them tick, Two Girls and a Laptop have instantly created an emotional connection with us. Remember how we said humans buy from humans? This is a great way to forge that personal connection with your audience and give them a reason to choose you over your competitors. Why did you start your business? What are your passions, motivators, likes, dislikes? What have you learnt through your business so far? What goals do you have for the next month/three months/year? Where would you like your business to end up? What’s your favourite part about what you do? There really are endless questions you can answer and share with your followers! 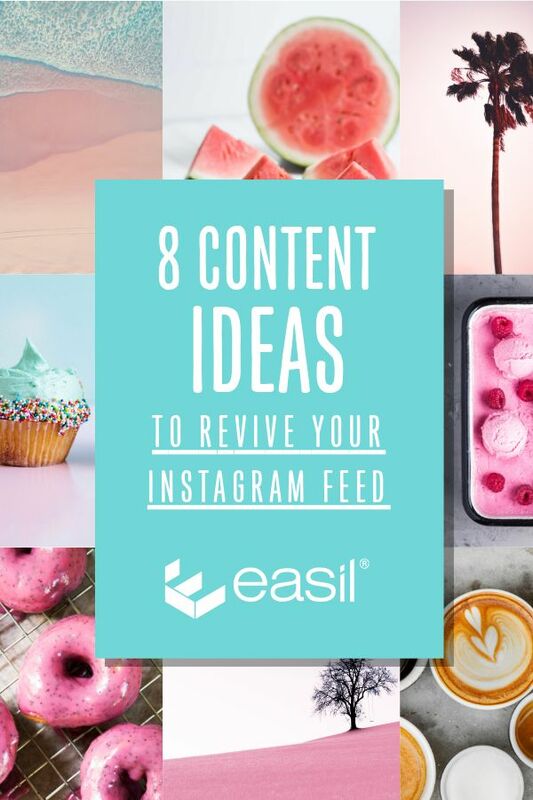 So there you have it… 8 quick and easy content ideas to help revive your Instagram feed and stop you from panicking the next time you go to post and have a mind blank! Feeling inspired and ready to start creating some fresh, new and exciting content to share with your followers? Be sure to jump on over to Easil and check out our range of handy social media templates today! READY TO REVIVE YOUR INSTAGRAM FEED?